Milestones Autism Resources honored its 2018 award recipients at the 2018 Milestones National Autism Conference, held last week in Cleveland. Winners were recognized for their outstanding achievements and contributions for the autism community, and were selected by a special committee comprised of parents, self-advocates and professionals. As director of the Lifespan Transition Center at the Ohio Center for Autism and Low Incidence (OCALI), Chris works tirelessly to find solutions at the individual, local and state levels to change policy and practices affecting people on the autism spectrum. 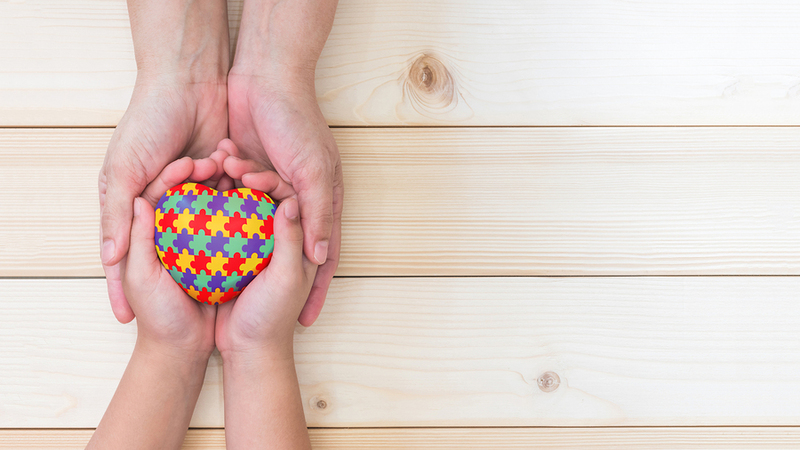 Her experience and knowledge gained from being a mother to a son with autism have enabled her to serve as a key player in bringing effective transition services to those who need them most. Brad serves as the director of the Autism Initiative at Mercyhurst University (AIM), where he has adapted the lessons he’s learned while traveling with his son, who has Angelman’s Syndrome, to bring life-changing experiences to individuals with autism through encounters with the outdoors. So far, his programs have taken groups to Mt. Kilimanjaro and the Grand Canyon, and they’re currently planning more adventures to other international destinations. For the last eight years, Jennifer has dedicated her life to supporting, guiding and celebrating the lives of students with disabilities as a paraprofessional. She is known to go the extra mile to provide a safe and supportive environment for her students in and outside the classroom – it is not out of the ordinary for her to attend private appointments with her students, provide haircuts at school for children with sensory issues, or to purchase items for her students with her own money. Inspired by their 13-year-old son with autism, Jeff and Amy have become leaders in making Northeast Ohio a hub and trendsetter in the nationwide inclusion movement. What started as a tweet from Amy to Quicken Loans arena after a disappointing experience with her son soon sparked the development of employee training and the Belles working closely with KultureCity to turn the Q into the first sensory-inclusive arena in the entire country. KultureCity is now an NBA Cares partner and many other arenas are in the process of establishing similar programs. As a non-verbal individual with autism, school was never a walk in the park for Jordyn due to her communication needs — but now, she is a full-time sophomore at Ohio University working to create a more inclusive world. When faced with obstacles, Jordyn looks for ways to overcome — she found her voice through assisted technology and is now using that voice to make real changes. After starting college and seeing a lack of inclusive opportunities, Jordyn started a student organization to raise the public symbol of acceptance throughout the student body and community.